Crispy, cheesy and tasty, these Baked (Low Carb) Parmesan Cauli-Tots are the answer to a healthy dinner side dish everyone in the family will love. I have to admit I was a little skeptical at the idea of what cauliflower tots might taste like. As we all know, it can be really challenging to swap out potato for another vegetable and still make it taste delicious and satisfying. Carbohydrates are so hard to replace in the yummy department. And quite honestly I had to play with the recipe many times to get it just right taste and texture wise. 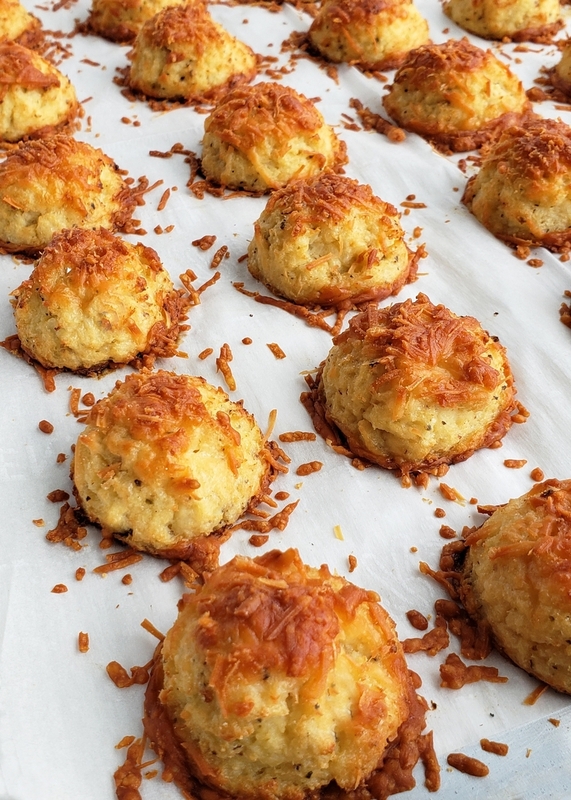 The end result are these very addicting Baked (Low Carb) Cauli-Tots. I promise you’re going to love them. Since cauli-tots are made with cauliflower and not potatoes, they are most definitely a healthy alternative to traditional tater tots or French fries. In fact, recipes replacing potatoes with cauliflower as one of its main ingredients contain about forty-five percent fewer calories than their counterparts. Yay for this! I highly suggest you also give my Old Bay Cauliflower Salad, Mini Cauliflower-Boursin Souffles, and my Cheesy Cauliflower Ranch Bites a try. You will love every bite of these recipes and save yourself a boatload of calories, without the loss of a delicious, comfort food, dish. 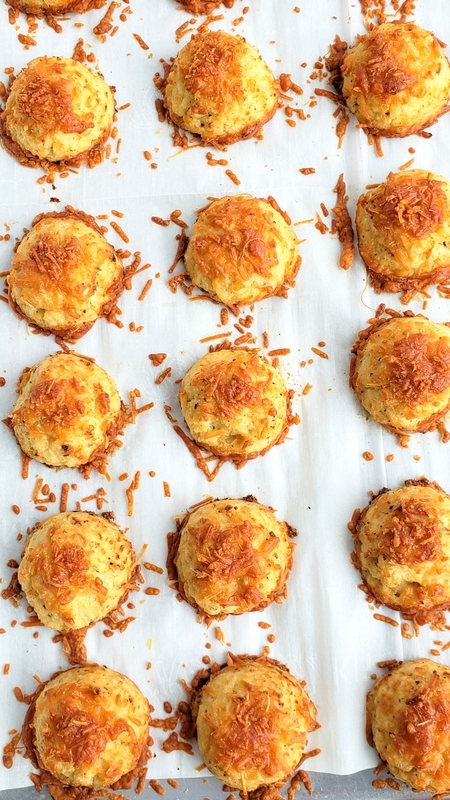 And you definitely won’t feel guilty about eating more than a handful of these cauli-tots. These mock tater tots are also a great way to get your picky vegetable eaters to try something different! Not all cauliflower tots are keto friendly, especially if they are covered in bread crumbs or dredged in any type of all-purpose flour. 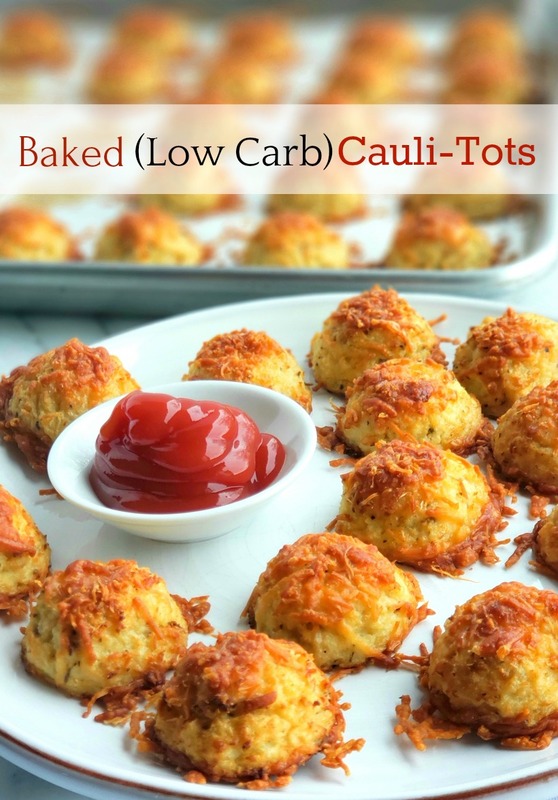 However, this version of low carb tots is very keto friendly, with each tot only having 0.5 grams of net carbs. Amazing, right? You can definitely eat a few more than planned with those types of stats. Trust me, you definitely won’t miss the potato, and unlike many other cauliflower recipes, you can’t actually taste much of the cauliflower. It’s a win-win. A food processor is needed to get the cauliflower into the right consistency for tot making. It will be almost paste like. 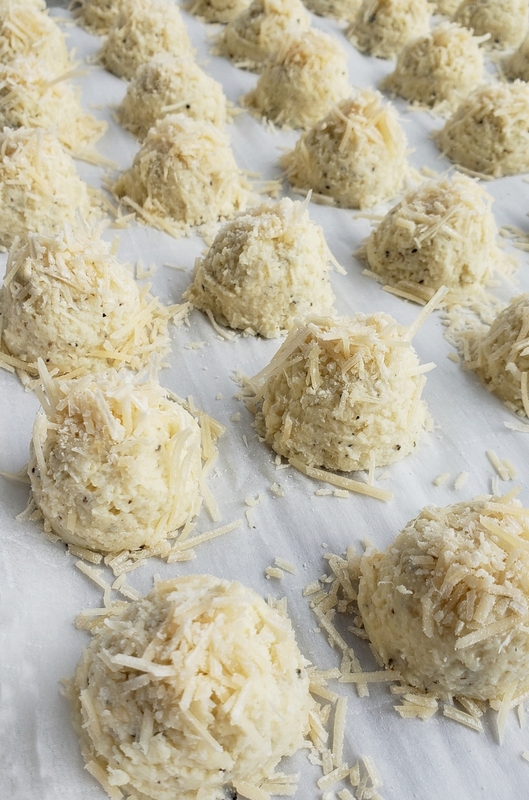 Use Parmesan cheese that looks likes this to sprinkle on top of the formed cauli-tots. I did try making this particular recipe in the air fryer and quite honestly they were not as good as when they were baked in the oven. The air fryer took about fifteen minutes to get them brown, but the texture was just too mushy. However, the air fryer is great for reheating the next day and takes about five minutes at 390 degrees F.
The tots come out the oven perfectly golden brown and crispy around the edges. 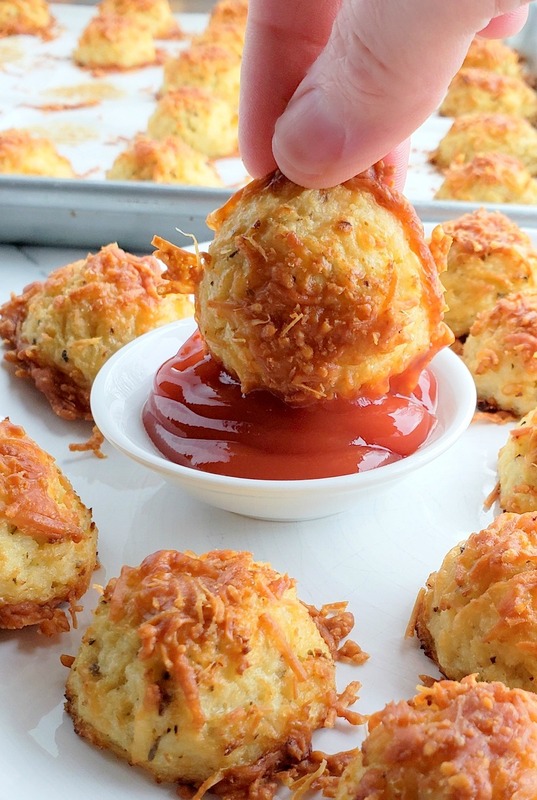 I promise you are going to be addicted to these bite-sized tots! A food processor (11 cup capacity). This gets the cauliflower into the the proper consistency. 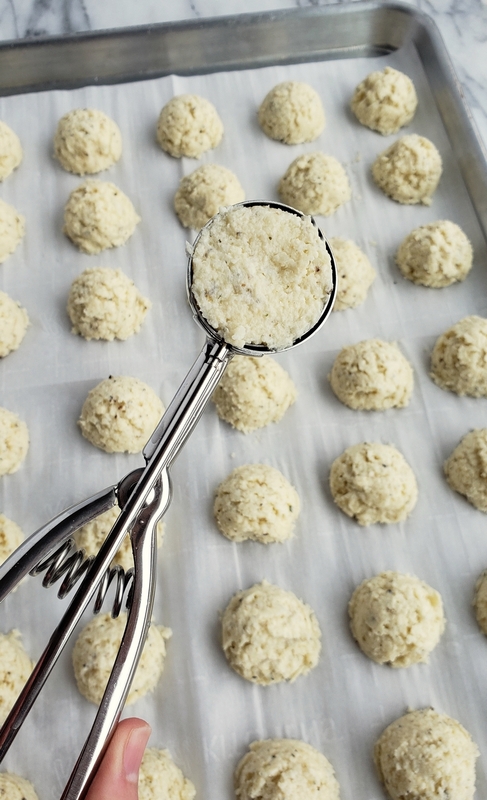 A #50 scoop is essential to making the perfect sized cauliflower tots. The dough is very sticky, making it difficult to handle by hand. Another favorite low carb recipe I love are these Low Carb Pancakes. Give them a try at breakfast if you can. 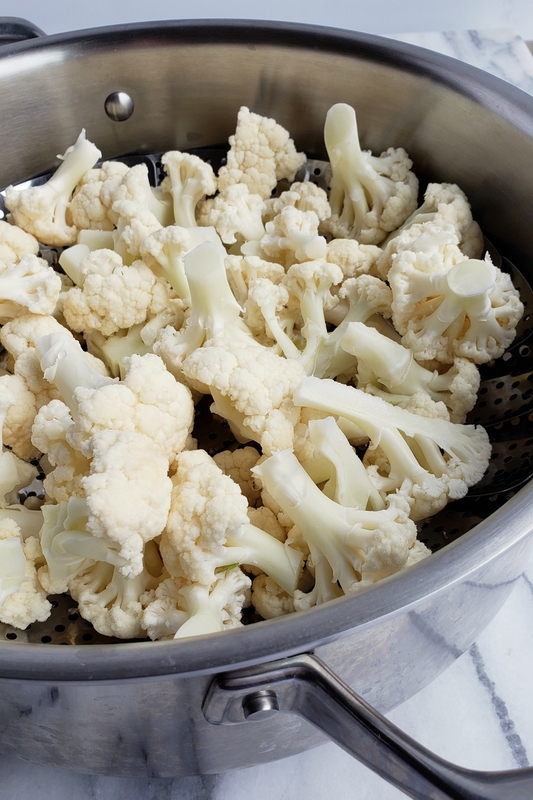 In a large pot, fitted with a steamer basket, steam cauliflower until it is fork tender, but not mushy. Let cool 10 minutes. Meanwhile, in a medium sized bowl, mix together egg, grated Parmesan cheese, cream cheese, avocado oil, Italian seasoning, garlic powder, onion powder and pepper. It will be very paste like. Set aside. 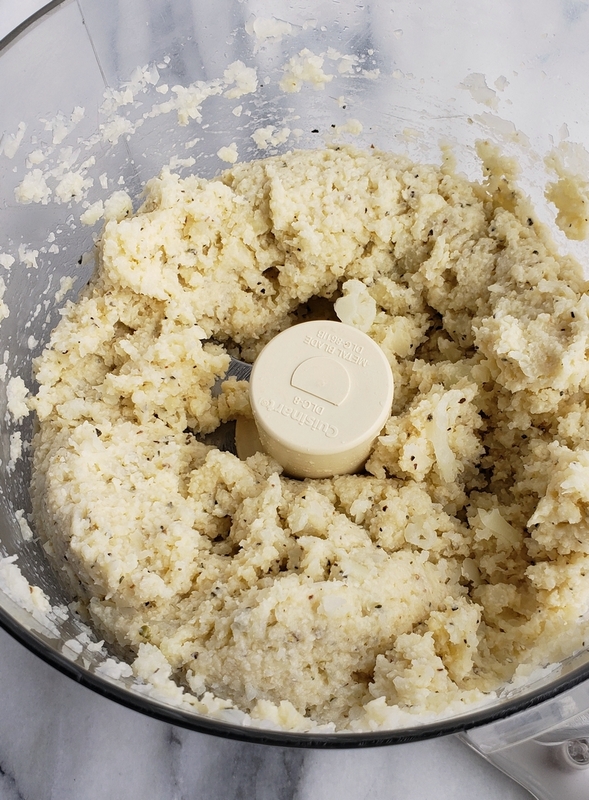 In the bowl of a food processor (at least 11 cup capacity) add steamed cauliflower and Parmesan paste. Process until mixture is fully combined. Mixture will be very sticky and there should not be any large pieces of cauliflower visible. Place store-bought shredded Parmesan on a cutting board and chop it slightly as the shreds can be a little long. (see picture above). Sprinkle some on the top of each tot, pressing it in slightly. Some will fall around the base of the tot when you do this and that's good. It forms a nice crunchy little base. Place tots in the middle rack of the oven and bake for 15 minutes. Place a piece of parchment on top of the tots and bake for another 15 minutes. Tots should be nice and golden brown with a slight crunch, but will still feel slightly soft as these are not potatoes. Let sit for five minutes before serving. Serve with your favorite dipping sauce. These reheat great in the microwave, oven, air fryer or deep fryer. These are GENIUS! Can’t wait to try them! Let me know how you liked them. I was skeptical, but so glad I tried these! Delicious!!! Our whole family gobbled these up, which is a miracle!!!! This was really addictive! My whole family enjoyed it! This was a great snack for kids. Everyone loved it. Will definitely make it again. These fit right into my diet. Thanks! My husband and I have been enjoying these as a low carb snack for Happy Hour! I am curious about the “green can” reference next to the Parm cheese amount. What does that mean? 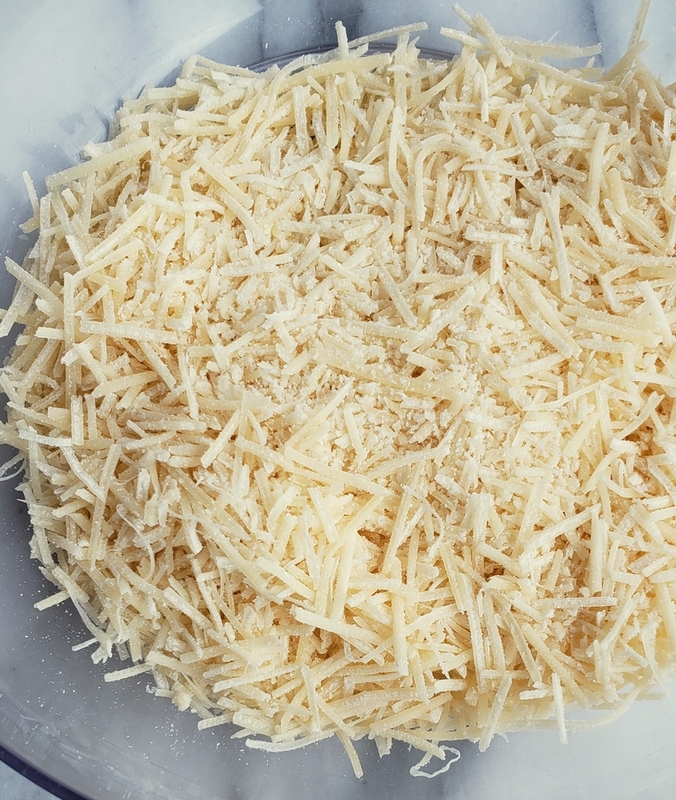 I always use freshly grated cheese as any cheese in a can is pretty much guaranteed to contain cellulose…which is used as a stabilizer. Cellulose is wood pulp…not something I chose to eat. I have pretty much checked every canned or jared grated cheese and none have passed the “cellulose free” test. Parmesan Cheese in the green can or shaker. In this recipe it is used as a stabilizer. Looks good, but is that ketchup you are dipping them in?